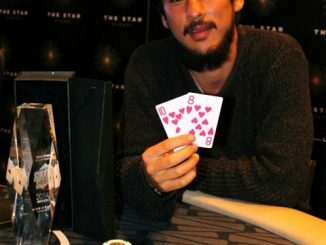 After four long days and a massive 16-hour session to play down from the final 18 to the winner, Joel Feldman has taken out the 2012 Star Poker Summer Series Main Event and its $176,344 first prize. Showing tremendous stamina and well-timed aggression, Feldman overcame a tough start to the day to roar back from the brink to claim the most significant victory of his burgeoning poker career. 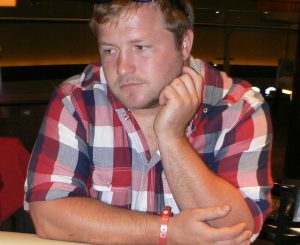 The final table itself lasted a whopping 11 hours and only finished at 6am after Feldman and heads-up rival Daniel Neilson made a deal (perhaps partly due to sheer exhaustion). But Lady Luck shone on Feldman at the right time – when he and Neilson decided to go all-in blind to decide the victor, Neilson could only show J-4 while Feldman woke up with Q-Q to cement a memorable victory. 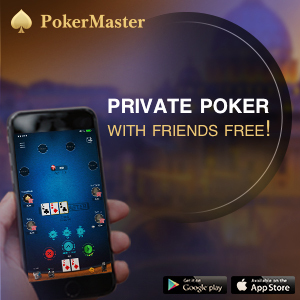 Throughout the early stages of the final table, it seemed the battle for the title would come down to Neilson and Chad Awerbuch, who held the biggest stacks throughout the evening. However, the shorter stacks steadily chipped away and Awerbuch eventually fell in fourth behind Tam Truong. 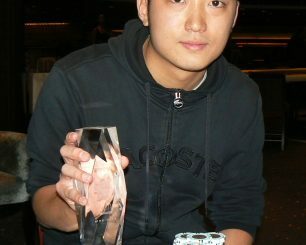 Coincidentally, Awerbuch led at the start of the Opening Event final table at which Truong also cashed. It has been a memorable fortnight at The Star with 135 players taking their place in this year’s Main Event including WSOP bracelet winner Andy Hinrichsen, young guns Jonathan Karamalikis, Brendon Rubie, Dave Allan and Jay Kinkade, veterans Billy Argyros and Leo Boxell, former Aussie Millions champions David Gorr and Tyron Krost, Star Poker ambassadors Grant Levy and Aaron Benton and Sydney Swans captain Adam Goodes (who busted in 19th place on the very final hand of day two). 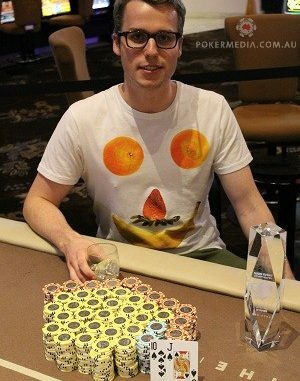 However, it is Feldman’s name that goes down in the record books – joining APPT Sydney champions Levy, Martin Rowe, Benton and Karamalikis and inaugural Summer Series Main Event winner Andy Lee in The Star poker room’s hall of fame. * Joel Feldman and Daniel Neilson split the first and second-place prizemoney.